Singapore’s central bank, The Monetary Authority of Singapore (MAS) and SGX have decided “not to allow Noble Group Limited to transfer its listing status to New Noble as part of NGL’s proposed restructuring,” in the wake of the commodity giant’s collapse. 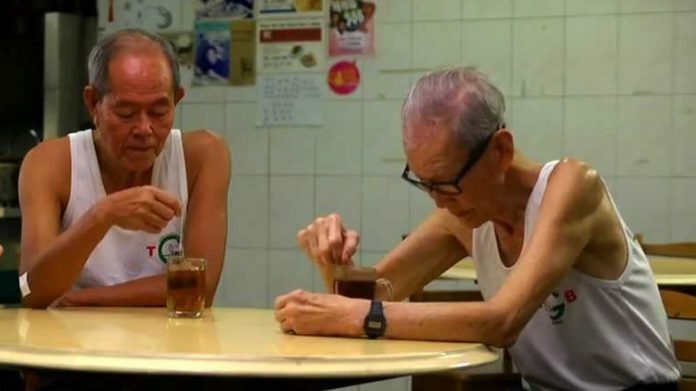 In August, several elderly Singaporeans lamented that they have lost their savings after Noble Group Ltd collapsed and expressed anger at Singapore regulators like SGX and MAS for failing to protect shareholders. This, after the conglomerate that was once valued at $12-billion lost billions as it accumulated immense debt and losses. Besides being accused of cheating investors with accounting tricks, Noble Group has also been accused of inflating its profits with a report by Iceberg Research highlighting allegations of severe irregularities. Despite denying these claims, the once profitable giant has been pushed to making a do-or-die deal where investors see no other viable option than to vote for a debt-for-equity restructuring that redistributes control from existing stockholders into the hands of senior creditors. As Noble Group’s difficulties mounted, investors have turned on Singapore regulators for failing to better protect shareholders from such crises. “The Monetary Authority of Singapore (MAS) and Singapore Exchange Regulation (SGX Regco) have decided not to allow Noble Group Limited (NGL) to transfer its listing status to New Noble as part of NGL’s proposed restructuring. This follows a careful review of the findings to-date from the ongoing investigations into NGL and Noble Resources International Pte Ltd (NRI) by MAS, the Commercial Affairs Department (CAD) of the Singapore Police Force, and the Accounting and Corporate Regulatory Authority (ACRA). “The authorities have been carefully reviewing since 2015 the allegations raised by various parties against NGL and following up on information and leads provided. Notwithstanding the clean audit opinions issued by NGL’s statutory auditors for financial years ended 31 December 2014, 2015 and 2016, the authorities continued to gather and review information. This included information relating to the substantial write-downs that were announced by NGL in late 2017 and early 2018. The review of this and other information provided the basis for authorities to commence overt investigations into potential breaches of Singapore’s laws. “Following the commencement of the investigations, NGL submitted to SGX RegCo a set of simulated financial statements to illustrate the effect on New Noble’s financial statements after considering the potential non-compliance with accounting standards highlighted by ACRA in its letter to NRI dated 20 November 2018. The simulated financial statements show that the net asset value (NAV) of New Noble as at 31 December 2017 could be adjusted downwards by about 40%, and that the NAV as at 31 March 2018 could be adjusted downwards by about 45%. These adjustments would be in addition to the write downs of more than US$2 billion already made by NGL in FY2017. “There could be even further reductions in New Noble’s NAV arising from investigations by CAD and MAS that extend beyond the potential non-compliance with accounting standards highlighted by ACRA. CAD and MAS are looking into other relevant areas in connection with the preparation and disclosure of NGL’s financial statements, including valuation of commodity contracts and other related assets. The findings arising from these investigations could potentially lead to a further erosion of New Noble’s NAV.